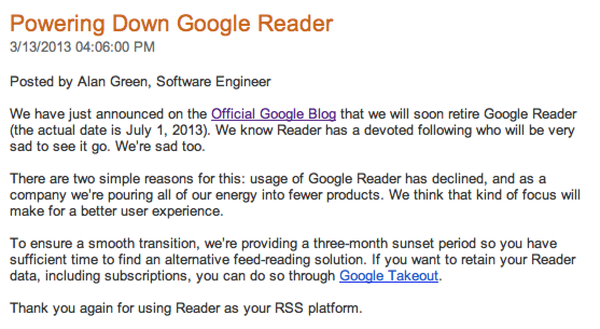 mentioned two main reasons: usage of Google Reader has been declined and other we can’t focus on fewer product so make user experienced better and best we are trying to find something better way. And Google announced all users may transfer their feeds through anyone or service. 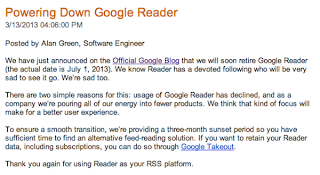 "We know Reader has a devoted following who will be very sad to see it go," said Alan Green, a Google software engineer, in a post on the Google Reader blog. "We’re sad too."